Cataracts—clouding in the normally clear lens of the eye—are the number-one cause of blindness in the world. 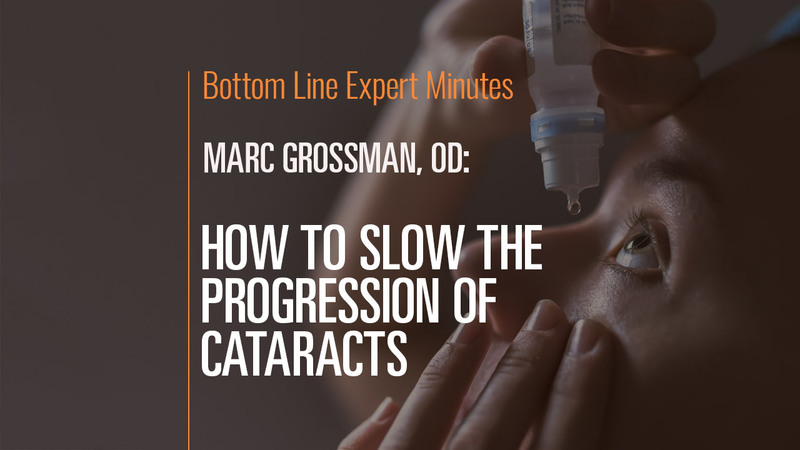 In this video, Marc Grossman, OD, LAc, holistic developmental/behavioral optometrist and licensed acupuncturist, explains how to delay or prevent cataracts from forming. Because cataracts result from oxidative stress and proteins binding together in the eye, antioxidants such as vitamin C and glutathione are essential in preventing this condition. The building blocks of glutathione can be taken in supplement form (selenium, alpha lipoic acid and N-acetyl cysteine), but onions, garlic and leafy greens all raise glutathione levels as well. Consuming too much dairy can lead to cataracts, but the main causes are sunlight and possibly the blue light from phone and computer screens that damage the lenses of the eyes. Be sure to always wear sunglasses that block UV light when outside, and also consider blue filters on your glasses to block the damaging light from digital screens.